uesday, the Oriental Commissioners will take up a request to supply the proposed Wal-Mart with water. The Wal-Mart building site is outside the city limits. I argue that to do so at this time is not in the best interest or Oriental. There have been verbal assurances from Wal-Mart representatives that they will not use the right of way behind the proposed building, they will request annexation after construction, and that they will put up a pretty building with landscaping and a nice sign. To my knowledge, there is nothing in writing. If Wal-Mart truly wanted to negotiate fairly with Oriental for water, a good and cheap deal for them, they would ask for annexation first and then put up a building that conforms to our Growth Management Ordinance. However, Wal-Mart wants to put up a 12,000 square foot building. Under our ordinances Wal-Mart would be limited to an 8,000 square foot building, be required to landscape their parking lot, follow our impervious surface requirements, and plant a vegetation screen between their store and residential properties to their rear. Wal-Mart could design a building that would conform to our Growth Management Ordinance simply by telling their architect to design an 8,000 square foot building. Instead their preference is to build a non-conforming structure, pave over as much as they want, do minimal if any landscaping, ignore our impervious surface restrictions, and get water on the cheap. Then Wal-Mart just might request annexation as a give back to Oriental. Guess who gets the better deal. Oriental has only one card to play in this game, and that card is water. Our water is cheaper to obtain than county water and that is why Wal-Mart wants it. Oriental’s water ordinance permits supplying water outside our corporate limits, but does not require us to do so. That decision is up to the Commissioners. I urge our Commissioners to ask for annexation as a prerequisite to supplying water and to negotiate on other issues that concern town residents. If Wal-Mart really wants to come here, they will comply. 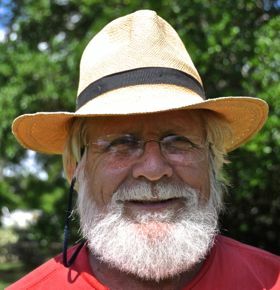 Bob Miller is a retired professor of urban forestry and chairs Oriental's Tree Board. He is past chairman of Oriental's Planning Board. His views, represented here, are his own.